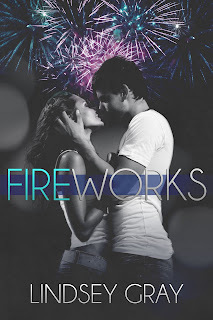 Today, Lindsey Gray is stopping by to talk about her new book Fireworks, and I'm sharing my review of the book below. And we also have an awesome giveaway: a signed copy of Lies Inside (U.S. residents only). The Rafflecopter is at the end of the post. Enjoy! Fireworks is a novella, approximately 22,000 words. Lindsey Gray's Fireworks begins to sizzle from the moment Sam and Sophie are reunited after a long separation. As a teenager, Sophie had fallen deeply in love with Sam, but circumstance (and certain people) had pulled them apart, and their lives took different directions. When they meet again, the spark is immediate. But even though the fuse has been lit, there are challenges ahead. Sophia has to resolve some of the terrible wrongs done to her in her last relationship, and Sam has to confront the issues of the past that kept them apart and altered the course his life might have taken. When Sam breaks up with his girlfriend, whom he was building up to introduce to his parents over the Fourth of July weekend, he asks Sophia to step in and pretend to be his girlfriend for the day, but it's not long before the pretense is dropped. As Independence Day approaches, there will be fireworks for certain! Lissa: Your story is about re-uniting and new beginnings. What drew you to that particular theme? Lindsey: I’ve always been a sucker for a reunion story. I love the way characters share part of their lives but still have so much to discover. For Sam and Sophie, their story was interrupted. I show how much power one conversation can have and effect the rest of a person’s life. Lissa: Tell us about your writing process. What time of the day do you do your best work? Lindsey: I usually just write when I can. Sometimes, I will spend days working a chapter out in my head so when I sit down to write, it all flows out easily. It still never comes out the way I envisioned it, but most of the time it is much better. Lissa: What has been the best thing about being a writer? Lindsey: Creating the stories! I love thinking up crazy or offbeat scenarios. I am the kind of reader who hates to predict a storyline while I’m reading it. That is how I write. I think about what is the most logical way for the story to go and do something different. Lissa: Fireworks has multiple perspectives. Do you find that to be a challenging style, being in so many different heads? Lindsey: I write in third person because so many characters talk to me at once. For Fireworks, it was my intention to keep it just Sophie and Sam. It didn’t turn out that way. I had to add a bit of Drew, Sophie’s cousin, because that is such an important relationship for Sophie and I needed to explain his feelings. I also included a conversation between Sam’s parents. Sam’s mother, Virginia, has a skewed view of how her children should lead their lives. I wanted to show a bit of her realization that the world does not in fact revolve around her. Lissa: Sam is an artist. Have you ever done any visual arts? I can't even draw a stick figure; any talent I have is for the written word. Do you have any other artistic abilities, such as music or crafting? Lindsey: Can I draw, not very well. My ex-husband is an artist and a photographer. I would spend hours watching him paint and developed a great appreciation for anyone with that kind of talent. I believe my best artistic ability to be my voice. I can sing, pick up accents very easily, and can change my voice. I might start dabbling in voice over work and I plan on starting a podcast in the future, so everyone can judge for themselves. I probably won’t be singing for you though. Lissa: You've self-published Fireworks. Did that decision present any special challenges? Lindsey: It is very different from going the traditional route. I have published three novels and one short story with The Writer’s Coffee Shop Publishing House. They have developed a very good process, but since I was doing this one solo I had to develop one all on my own. I am very fortunate to have made some great connections over the past few years that made it easier. Lisa Bilbrey is a godsend as an editor. I was so lucky she had the time to work with me on this. Also, she didn’t make me want to tear my hair out with every note so that was very helpful. LOL. I LOVE my cover immensely. I had a picture in mind and tried to do it myself, but I just couldn’t bring it together. I worked with L. J. at Mayhem Cover Creations with the idea. The first mock up she sent me is pretty close to the final version. We just changed the font a little and it was perfect. The most trouble I had was making sure the format was P-E-R-F-E-C-T for the Smashwords acceptance process. I had never dealt with Smashwords before and had no idea how one small glitch could cause a problem. After about the tenth time uploading, it finally went through without any errors. It was a problem with the wording and format of the copyright page and not the work itself. I’m just happy it is all taken care of and out to the world to enjoy in time for the Fourth of July holiday. Lissa: The publishing world is changing rapidly. What do you think of the "ebook revolution?" Lindsey: I know the love of a printed book. The smells, texture, and just having the weight of it in your hands. In this economy, it is all about cost. I admit, my reading habits have skyrocketed since discovering ebooks. I have my favorites on the shelf, but I can’t afford to buy everything I want in print. Lissa: What's up next for you? Do you have another book in mind? Lindsey: I have several things I’m working on at the moment. I have a Christmas novella that still doesn’t have a title so I’m a bit frustrated with it at the moment. I am working on wrapping up TheRedemption Series with the third and final book, Resolution. I am working on a series of fairytales, “Tales from the Land of Grimm”. Each of those stories might be released as individual novellas or (depending on the total length) I might release the three stories in one. I have a stand-alone romance that comes at me in spurts entitled “God Help Us All”. Finally, I have a new adult novel, possible series, picking at my brain. It’s in the very early stages, but I think it has a lot of potential. 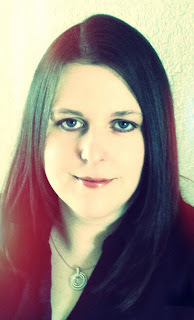 Lissa: If you could be one author's version of a supernatural creature, what would it be? Lindsey: I think I would be one of my own creations, a Shadow Walker. My character from The Redemption Series, Abe North, is a Shadow Walker. Basically he can transport himself and others if he touches them within a shadow. It would be nice to be able to travel like that and help people in danger. The possibilities are endless.